Straw-colored yellow of medium intensity. In the glass, it is characterized by a crown of dense and particulate foam that forms for a considerable amount of time with tiny bubbles. There are scents of acacia, peach, and pear flowers on the nose. It is easy and pleasant to taste, initially cool and soft on the palate, giving way to fruity traces. 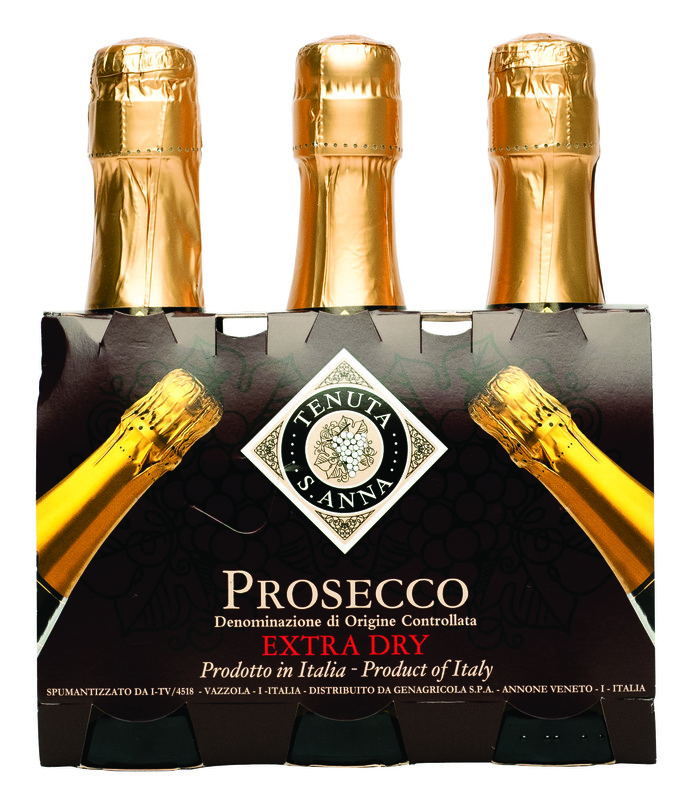 This fun size is perfect for an outdoor aperitif or when you are just in the mood for a sparkling treat! It pairs especially well with seafood and shellfish. 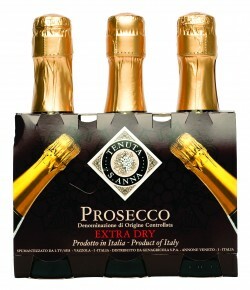 Great for making bellinis. Harvested grapes are de-stemmed and crushed gently. The must obtained is transferred to steel vats where fermentation takes place at controlled temperatures. Then the process of transforming to sparkling wine begins: a selection of yeasts is put in the tanks which, over a period of 4 months will transform the wine into a refined sparkling wine.